Outside the little hamlet of Rincon heading towards Dos Pos and Gottomeer, on the hill to the left is a secret new spot I am ready to reveal. Posada Para Mira is one of Bonaire’s newest restaurants. Julius and Jovianka Clarenda have created an kunuku oasis in the hills of Rincon. This retreat is a nature center, bar, restaurant, and entertainment center with an local twist. The Clarenda’s decided to take their parcel of land and create a place that will welcome friends and tourists, family and locals in the midst of a little bit of heaven. The views are splendid and the wind constantly blowing creating a very ambiante setting. They have gardens to supply their kitchen in the future and have plans to create nature trails. Open weekends, happy hour commences 4 PM on Friday and music follows. Jovianka’s mother mans the kitchen creating local specialties including Papaya Stoba, Gobritu (goat) and other local flavours. I went Sat. morning and was treated to pampuna (pumpkin pancakes) and hot tea. Sat. and Sunday breakfast is served 9 AM and then lunch and later music. Jovianka recommends the local homemade chocolate tea. Most Sat. nights a local band entertains into the wee hours. 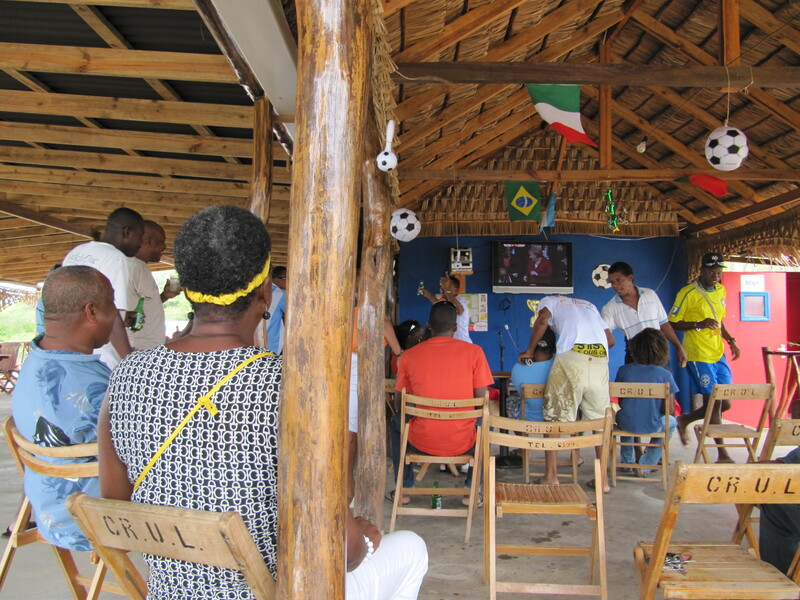 Today we watched FIFA Football on big screen. It was a lively scene with energy and some crazy antics. The first Bonaireans I met were Team Bonaire in Florida in 2001. I was captivated by their kindness and their Joie de Vivre. When I traveled to the island a few months later and was embraced by the people and culture I knew I had found home. 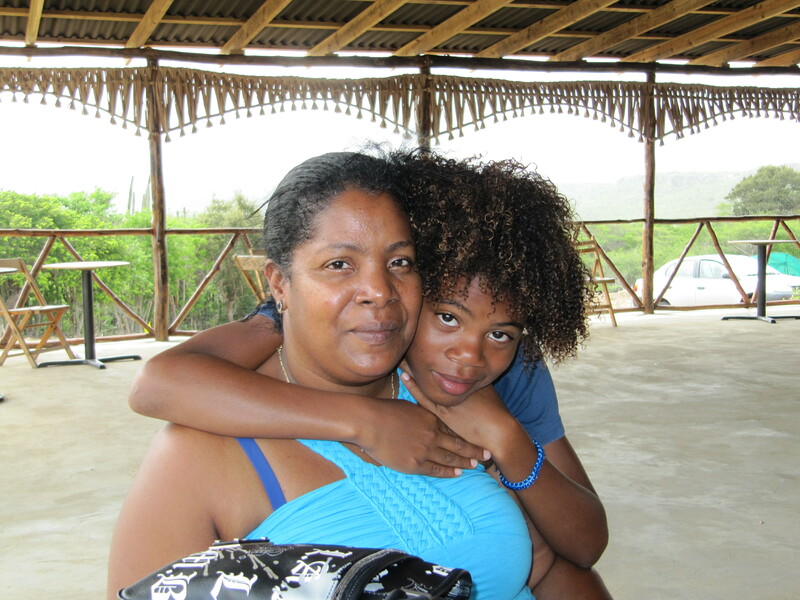 As our island faces many changes what remains as strong as ever are the lovely Antillean people. Julius and Jovianka will welcome you into their “home” and insure your visit is filled with joy and enjoyment. 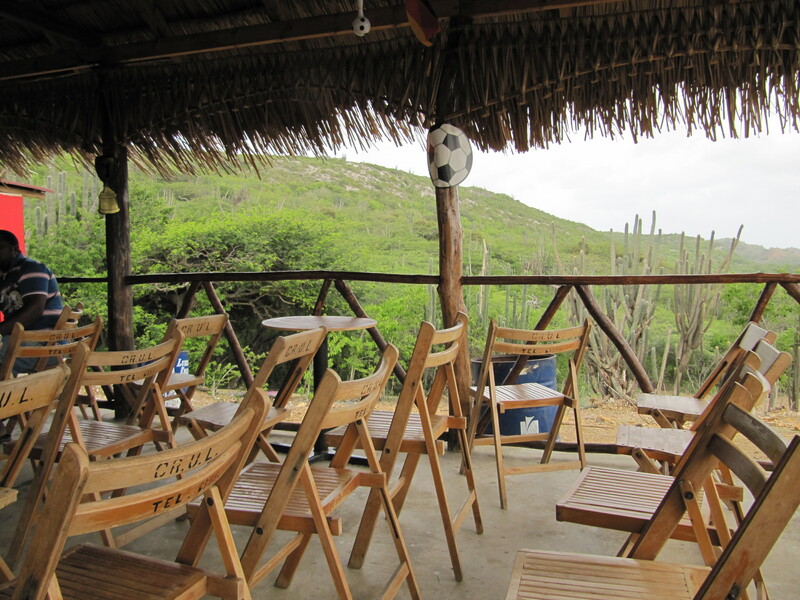 Posada Para Mira is the perfect spot for a wedding, party, reunion or team building activity. Check out their Facebook at Posada Para Mira. This entry was posted on July 3, 2010 at 7:24 pm and is filed under Activities, Culture, Food. You can follow any responses to this entry through the RSS 2.0 feed. You can leave a response, or trackback from your own site.